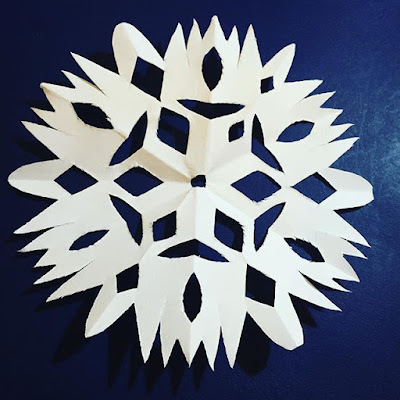 There are loads of sites that have instructions on how to make paper snowflakes, I just googled snowflakes and found great directions. 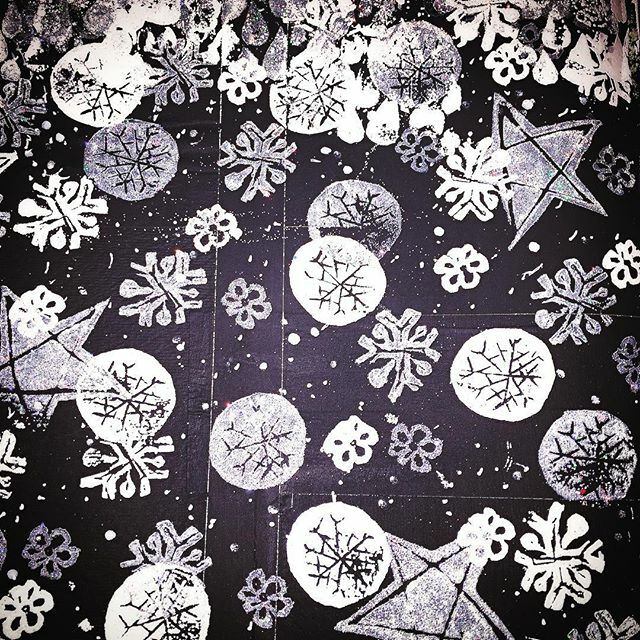 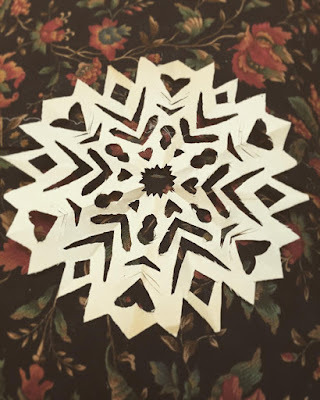 I've included links to a few of the patterns used to make these snowflakes. 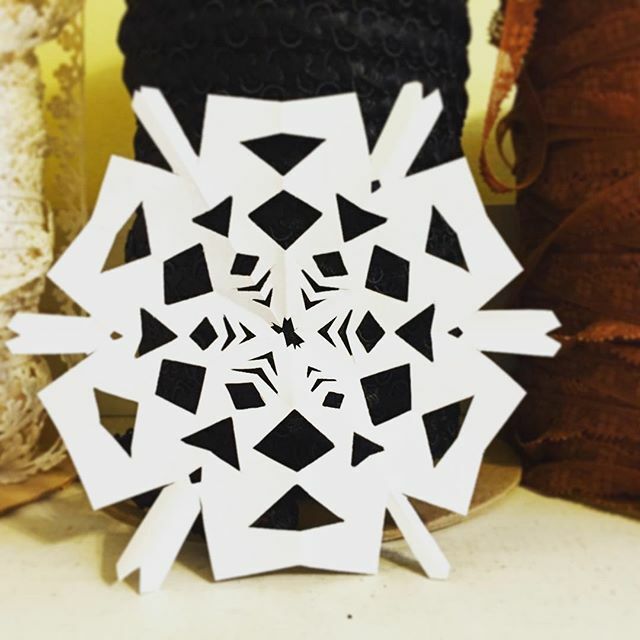 6 sided new year snowflake started things off for 2016. 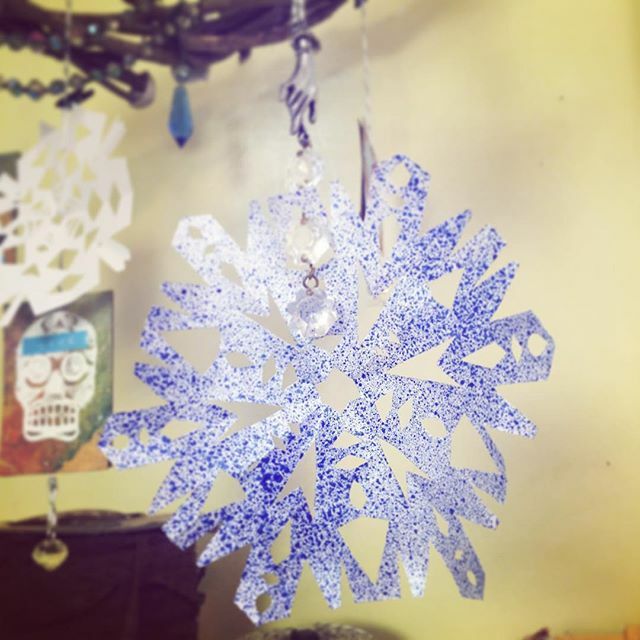 I used homemade spray paint to color this sparkling blue flake. 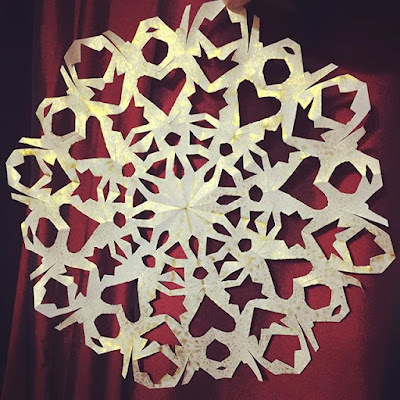 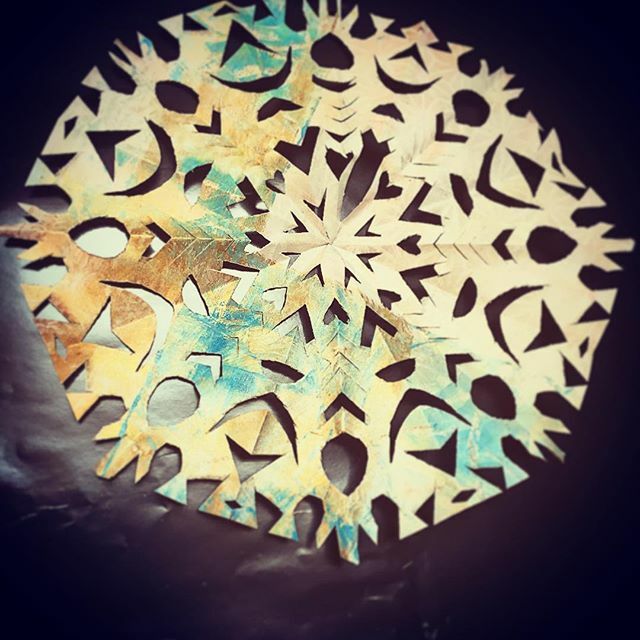 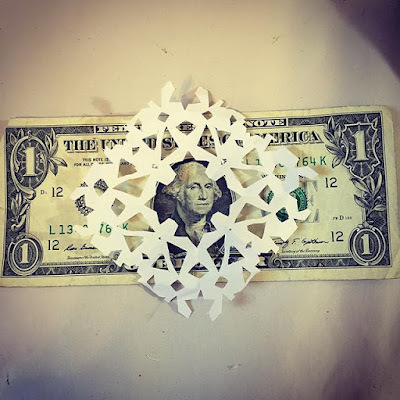 Here is a pretty small snowflake cut with and X-Acto knife because scissors could not cut through thick paper layers. 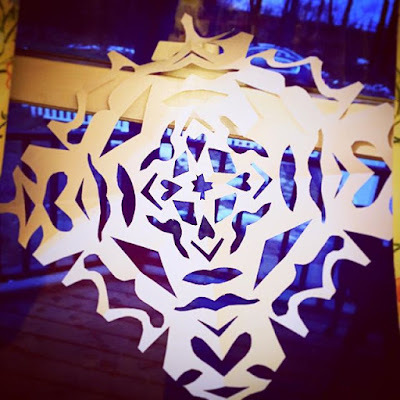 I sprayed this large snowflake with Tattered Angels Glimmer Mist Rouge once it was cut. This really big flake was made with a sheet of deli paper, which was almost too easy to cut. 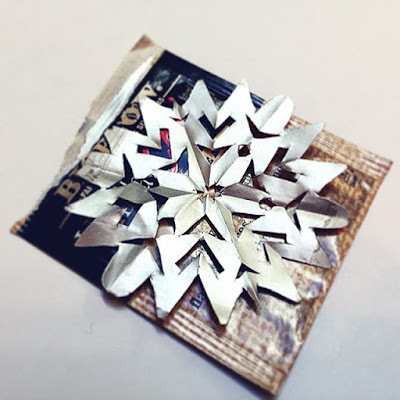 A silver snowflake cut from tea bag packet, I love the shine on this one. 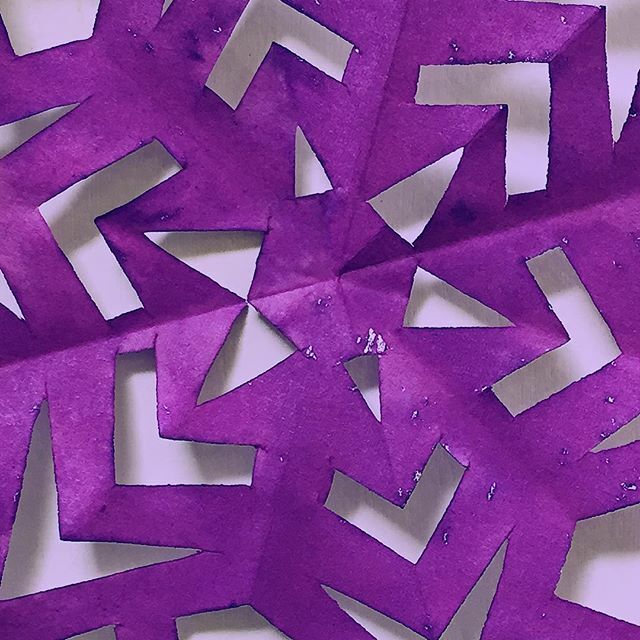 Here's a macro shot of this pretty purple snowflake. Uneven snowflakes are fun and real, this one looks like it has bear claws all around it. Several hearts here and fun mustaches too appeared in this 4 sided flake. Here is a ginormous 3D blue snowflake that looks so cool hanging in our kitchen window with this snowy background. 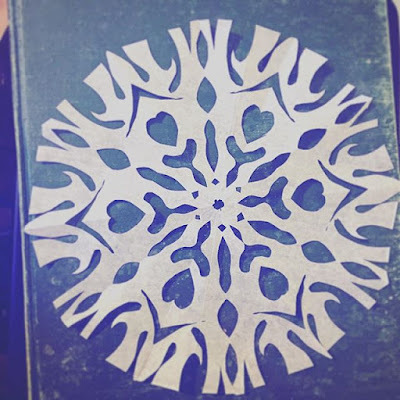 My first 8 sided snowflake and so far it is my favorite! It's golden glow comes from Perfect Pearls Mists of sunflower sparkle. 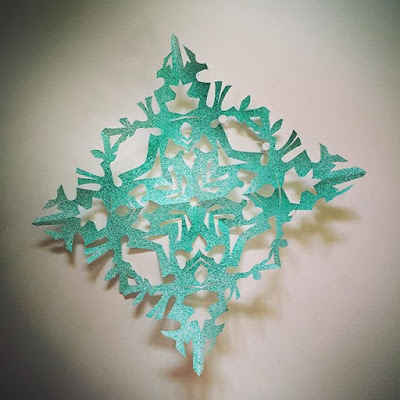 Here's a four sided green snowflake, what you don't have green ones where you live? 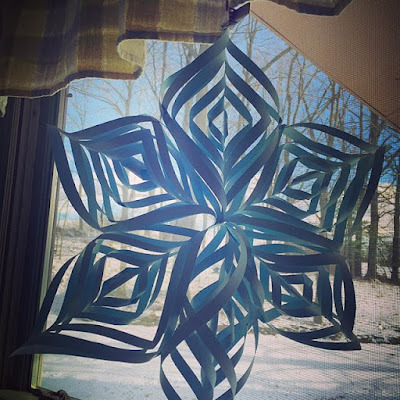 More homemade spray paint used on this beauty. A piece of mono printed paper got folded and cut into this 8 sided flake, which I like but is definitely not even close to symmetrical. 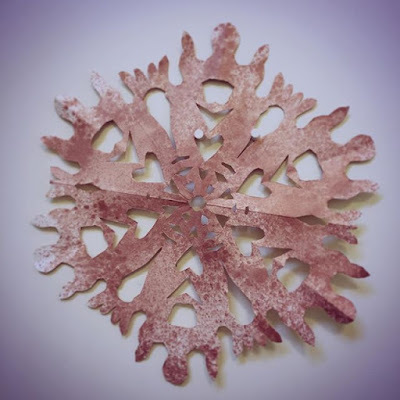 Which flake is your favorite? 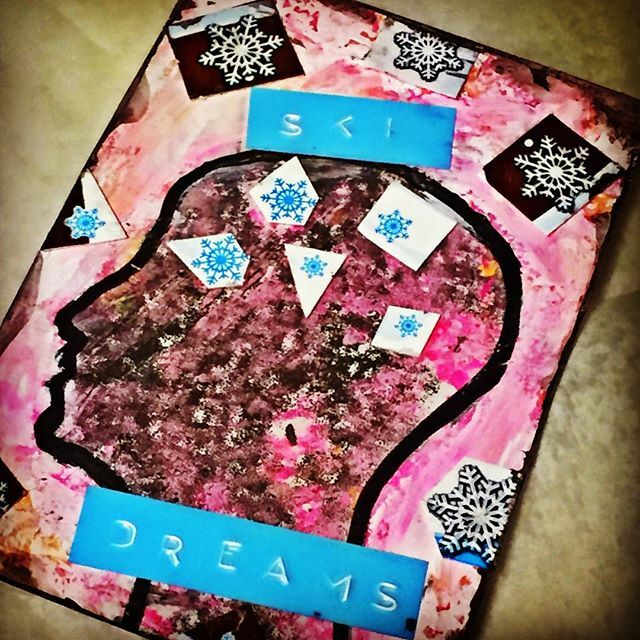 If you're playing along with my snowflake challenge and want to share them, please use #snowflakes2016 on Instagram.